Pakistan is becoming a home away from home for many Chinese citizens looking for better business opportunities. If you pass him by in his electronic parts and components shop in the Electronics Market in Karachi’s Saddar, Mohammad Ali Arabi would look like any other normal young Pakistani businessman. There is nothing out of the ordinary about him until you hear him conversing on the phone with someone in Mandarin. “Seeing Ali Bhai speaking while making strange facial gestures by twisting his features to pronounce the words, at first we thought that maybe he was possessed or having some kind of a fit,” laughs another shop owner in the market. “But now we are used to his speaking the language of our Chinese friends. He is often on the phone with someone or the other in China,” the shopowner adds. “I learnt the language back in 2002 from a Chinese lady visiting Pakistan for her work,” says Arabi. “Her work required her staying in Karachi for extended periods and I helped her get by in things such as helping her find office space, where to buy groceries from, etc. In return, I requested her to teach me her language,” he says. “The Chinese don’t call their language ‘Chinese’ or ‘Mandarin’. They call it Putonghua,” Arabi explains. “They don’t even refer to their country as ‘China’. For them it is Zhonghua, meaning ‘central country’. “Learning the language has helped me a lot in knowing our friends better. It has also helped me in expanding my own electronics business. I often travel to Mainland China where speaking the local language helps. Though everyone there is most kind on learning that I’m from Pakistan, when they find that I am fluent in their language, too, they sell me something they will sell you for 10 Yuan for just two or three Yuan,” says Arabi. At the Axinstitute for Chinese Language, Asim Qadri says that his father had stressed the importance of learning Chinese 20 years ago. “There was no talk of the China-Pakistan Economic Corridor [CPEC] back then,” he explains. “But I believe my father was a great visionary and a very wise man indeed to have realised all those years ago that the old friendship between China and Pakistan would pave the way for further interaction between the two peoples. Having acted on his father’s advice, Qadri now teaches the language at his institute in Karachi’s Gulshan-i-Iqbal along with also offering courses at some of the biggest and best universities of the city. “The language may seem difficult to you at first but not after I explain the fundamentals to you,” Qadri explains to his class. “Speaking Chinese is all about tone. The language constitutes four basic syllables. The meaning of a word in Chinese may change according to the tone or syllable used in pronouncing it. It may be the same word though," he says. Also,” he adds, “like we have alphabets in Urdu and English, there are no alphabets in Chinese. Maybe written Chinese may seem like a bunch of insects to you at first but after careful study you would notice that they are pictograms. Writing ‘tree’ will have you actually drawing a symbol that looks like a pine tree, writing ‘heart’ will have you draw the outline of a heart,” he demonstrates while writing on the board,” he says. The majority of Qadri’s students are businessmen or professionals working in fields where they have plenty of interaction with the Chinese. “So they want to learn functional or spoken Chinese. I have specially designed short courses for them. After studying one module, those who already have some interaction with the native Chinese are able to build further on their language skills through practice,” he points out. Aftab is employed with the Hazara Motorway Project and the high-paying job he landed is because of his fluency in Mandarin. He earns almost Rs200,000 as the main liaison person between the local workers and the Chinese technicians working with the company to build roads. 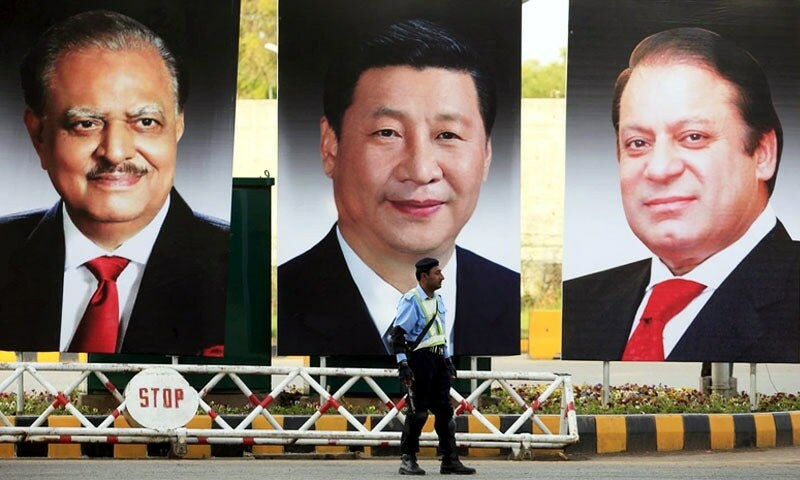 One of Qadri’s students, Maria Qayyum Farooqui, a project communications executive with an events management company, says that they get Chinese delegations that they are expected to communicate with all the time. “Chinese people are very sharp. They understand a bit of Urdu and English, too. 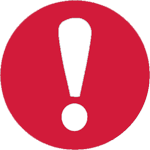 But we are at a disadvantage when trying to get our message across to them,” says Maria. “My boss seemed to have no problem understanding our Chinese clients so when I asked him how he knew their language, he pointed me to this institute. And here I am,” she smiles. Some years ago, Mohammad Aftab, a youth from Abbottabad working with the Indus Motor Company Limited found an opportunity to travel to Korea. He wanted to work there but as things didn’t work out according to plan, he found himself travelling to China on a five-year visa. During his stay there he got by doing small jobs. He also learnt the local language. Aftab wanted to stay on in China as he couldn’t really envision making a life for himself in his native Abbottabad. But after overstaying his welcome there — when his visa expired — the young man was unceremoniously deported to Pakistan. Aftab’s story doesn’t end just there. After coming back here, he worked as a part-time electrician for some time, earning around 500 rupees a day, when he could find work here, that is. It was like this until he realised that he possessed a valuable skill — fluency in the Chinese language. Today, he is employed with the Hazara Motorway Project and the high-paying job he landed is because of his fluency in Mandarin. Aftab earns almost 200,000 rupees monthly as the main liaison person between the local workers and the Chinese technicians working with the company to build roads. The news, two years ago, that Mandarin as a subject was to be made mandatory in schools in Sindh from Class Six to Class 10 was frowned upon by many who questioned the idea behind teaching of an alien language when kids here hadn’t even mastered the regional or official languages. Under the MoU signed between the Sindh Government Education Department and Chinese Education Department, schools in Sindh are to teach Mandarin while imparting knowledge about Chinese culture and values with the help of China. Under the scheme students learning Mandarin will be awarded extra marks, scholarships and be given opportunities for further education in China. 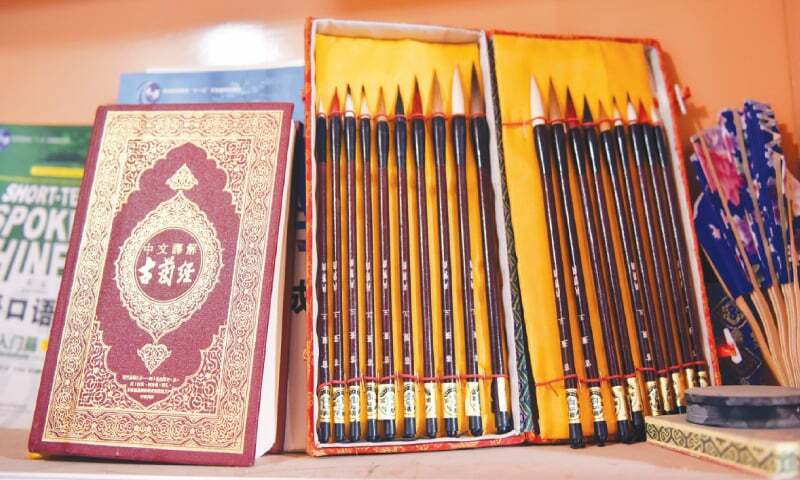 Though implementation of that decision is yet to be seen, there are some schools that have taken up the task of teaching Chinese to their pupils. One such chain of schools that goes by the name of the Roots School System (which has branches across Pakistan) has started doing it already. 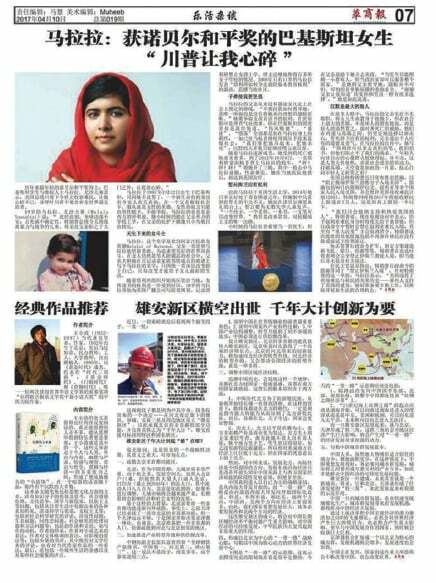 Communication also includes publishing periodicals for the Chinese readership in Pakistan. The Chinese mean business and Huashang is the first business news magazine in Mandarin, which has been serving a readership of 25,000 for one year now. “We have a team of Chinese journalists and Chinese translators working to bring out this fortnightly magazine, which comes out alternately with an English edition one week and a Chinese one the next,” says Umar Farooq Alvi, an editor, at the magazine’s head office in Islamabad. “The Chinese edition has some translations of the business stories published in the English edition the week before as well as current news and updates about the business scene in Pakistan,” he says. “The focus of the magazines is on business. We help Chinese companies looking to invest in Pakistan understand our market better,” Alvi explains. The magazine only publishes 5,000 copies but to reach its wider readership an e-paper is available online and on Facebook, too. “Our copies are free. We earn through advertisements,” he says. “We publish advertisements for Chinese multinational companies looking for mergers with local business houses, we carry government advertisements too,” he adds. Getting a good response for the publication, the magazine’s management recently met to look into bringing out both their English and Chinese publications simultaneously instead of on alternate weeks. “We are discussing it now. Let’s see what happens,” Alvi says. Of late, some banks here have also started attracting Chinese clients through their language. Habib Metropolitan Bank happens to be the trailblazer here. 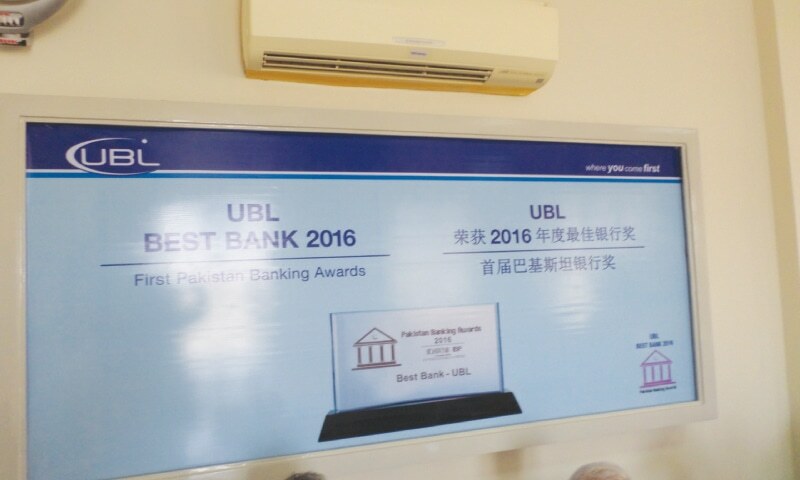 One can see the bank’s name is written both in English and in Chinese on the green board above the main entrance of some of their branches, one of them being at Bilawal Chowrangi. Sheeza Ahmed, a senior manager looking at marketing at HabibMetro says that they have Chinese business desks to look after their Chinese clientele at select branches. “We have taken care to set up the Chinese business desks in branches where we happen to have Chinese clientele,” says Ms Ahmed. “Currently, there are five to 10 such branches across Pakistan with at least two to three in Karachi and also in other big cities such as Lahore and Islamabad along with the one in Gilgit and Gwadar,” she says. “We have specially-trained staff for these Chinese business desks who have received Chinese language training to help our Chinese friends feel comfortable dealing with our bank. Hopefully we will also be building on our Chinese clientele in the near future because of more investment opportunities coming up here due to CPEC,” she says. Another such Pakistani bank happens to be the United Bank Limited. During a recent trip to Gwadar, one could see big advertisements of the bank mounted on plaques at the airport lounge walls in both English and Chinese with pictures of the Great Wall of China. It is not about Pakistanis and their love for Pakistani-Chinese cuisine as we have enjoyed chicken corn soup, egg fried rice, noodles, sweet and sour prawns from time immemorial. It is more about whether our biryani, pulao, korma and nihari would suit the Chinese palate. In most cases it does not. And that’s what grocery stores such as Z Mart, owned by the Food Supply Division of S. Zia-ul-Haq & Sons, does by offering Chinese groceries. The mezzanine floor of their outlet in Clifton, Karachi, boasts of a variety of neatly packaged Chinese spices and ingredients such as red long mushrooms, pickled sweet garlic, pickled kelp, pickled vegetable mix, hot pot soup, chilli threads, sweet meat seasoning, pickled mustard, red bean paste, and what not. Abdul Rasheed, the shopkeeper at Z Mart, says that their company provides items subject to the demand for them. “We order containers full of Chinese food ingredients because our Chinese customers need them here,” Rasheed says. “There are so many of our Chinese friends coming to Pakistan for work because of CPEC now. We must provide them with what they want so that they can lead a comfortable life here. They should not have any problem in Pakistan and for this we have liaison officers who meet with them to find out about their preference and choice in foods and where to avail these from in China. And we get it for them,” he says. We see the Chinese as wise, well-meaning hard-working people and our friends, so why not see them in the romantic lead of a love story, too? 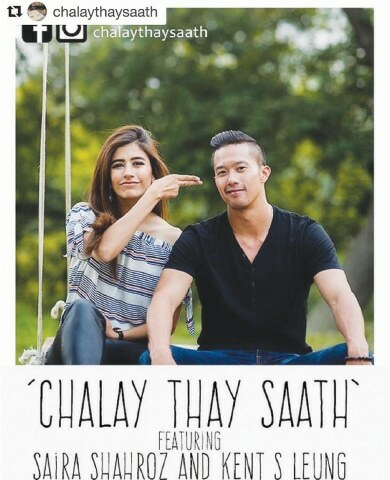 Chalay Thay Saath is a Pakistani movie with a local heroine and a Chinese hero. Movies are the prime medium to help audiences become comfortable with change or perhaps plant a new idea in their minds. “While drafting the story and script, the writer Atiya Zaidi, Umer Adil, the director and myself were skeptical initially, and particular later on about handling the Resham and Adam relationship very delicately,” says Beenish Umer, the producer of the movie. “We realised as a nation and culture giving a daughter away to another culture might not be well perceived. I remember we even had a few debates about reversing the roles, and making the leading male role Pakistani. But to be honest, after the film was released we felt the audience took very well to the story, to Adam’s character and to the Resham and Adam dynamics. Despite Chalay Thay Saath’s intention of not following a formula/masala film solution, it became a bittersweet love story which the audience grew to love,” she adds. “Films through time have always been used as tools to present new ideas, change and revolution. They have been used to further political or other agendas and now with this renaissance happening in Pakistan, we feel this medium can be used as a tool to further ideas for social and political change as well,” Beenish says. “To be certain, I’m sure after Chalay Thay Saath, and also taking from the current dynamics of real life relationships, the Pakistani film producers might also look into unorthodox connections and cultural differences while telling their stories. I can foresee other Pakistan-China stories as both the countries are trying to work together on co-productions,” the young producer predicts. “We have already seen a brand (Shan) associate with Chinese people in Pakistan. In fact, one can see productions across the border delving into a similar direction. It is obviously not an aftermath of Chalay Thay Saath, but producers in general are looking at such connections,” she adds. Of course, Resham, the heroine’s name in the movie is no coincidence. Shahrah-i-Resham or the Silk Road has served as the main artery for trade with China for a very long time now. And with CPEC, the friendship between the two countries has grown stronger. How CPEC shapes Pak-China relations in the future depends on the two countries’ approach it but one thing is for sure: Pakistan will never be the same again. The year was 2002, the city was Karachi, and militancy had just reared its head in the aftermath of the US invasion of Afghanistan. On the morning of May 8, around 8am, a car driver detonated himself next to a bus meant to transport French engineers from the Sheraton Hotel to a naval facility. The explosion at the five-star hotel killed 11 Frenchmen and two Pakistanis, and left 40 others injured. The suspects were later linked to al-Qaeda by Pakistani officials. In the 15 years since, the hotel industry in Karachi struggled to survive. With the city neither a tourist destination nor a vacation spot, the suicide attack changed international perceptions: Karachi was no longer a safe destination for investment or other business. Fewer businessmen from abroad visited the city and international airlines began scaling down their Karachi operations. With no visitors to speak of, hotels slowly began to wear deserted looks by 2005 and the industry began imploding. And the industry was in dire straits — that is until recently when the Chinese started arriving in great numbers. Is the bad patch over for hotel businesses? “I can’t share the exact numbers with you, they are confidential,” says Mövenpick’s Marketing and Communication Manager Amara Ashraf, “but what I can confirm for you is that a significant share of our yearly business comes from Chinese guests. Mövenpick was infact once the Sheraton Hotel but Sheraton choose to exit Karachi on December 31, 2013 due to the financial losses they were sustaining. In came Mövenpick, owned by the Kuwait Investment Authority, who saw Karachi as a lucrative opportunity. They pledged to retain over 600 staff operating the 407 rooms of the hotel as well as the various in-house restaurants and coffee shop. The gamble seems to have paid off. “There is always a balance that we maintain between local and international clientele, their respective preferences, as well as their needs and requirements,” says Ashraf. The Chinese presence in Karachi predates the signing of the China-Pakistan Economic Corridor (CPEC). Chinese engineers and executives have been working with the Sindh government on various projects, including the Thar Coal Project, throughout the last decade. 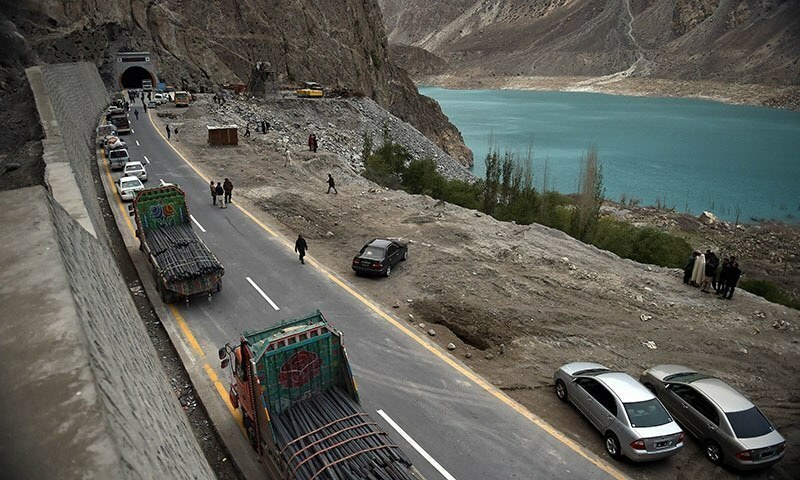 But the inking of the CPEC agreement has changed the nature of cooperation: from a distanced, consultative role, their presence has become more proactive and hands-on. Today, more and more Chinese executives have started visiting Karachi as Chinese partnerships have expanded to other services such as electric power generation and garbage collection. “They are simple people, not very demanding, but very detail-oriented,” says Avari Towers Karachi’s General Manager, Erik Huyer. Indeed, in the lobbies of almost all five-star hotels in Karachi, a Chinese national or two can always be spotted pacing the lobby with a laptop in tow. In one corner of the Marriott in Karachi, an officer finalises travel arrangements for Chinese clients to the airport. In another hotel, a senior security officer issues final instructions to the guards accompanying guests to the airport — some will be in the bus carrying the passengers and the others will be in two cars flanking the bus. It is almost impossible to shake the feeling that the hotel industry in Karachi is gearing its services towards the needs of Chinese guests. But Huyers rebuffs that perception. “The revival [of hotels] is connected with the overall economy and the improved security situation here, not just the Chinese,” he argues. The others, according to him, rent apartments or bungalows in elite localities if their job means they have to stay in Pakistan for long periods. Then there is a separate segment of visitors that rent guest houses — these are cheaper options in the middle to long term. Ashraf agrees that apartments and guest houses pose a great challenge to established hotels, but explains how Mövenpick went about finding a solution to the problem. “We realised that the Chinese were bringing in great business, throughout the year, and therefore not only were our rooms occupied but associated restaurants and services were also being utilised,” she narrates. But did such a pricing policy impact local business? “We had already constructed new business halls, meeting rooms and workspaces to cater to local demand. We have been offering uninterrupted electricity and high-speed internet. So they have incentive to do business with us,” she explains. In the lobby of Karachi’s Pearl Continental, a young Chinese man paces around waiting for a colleague to take him to an Iftar party — a unique experience in Karachi for this young tech executive. When asked if he had heard of Shan Masala and its biryani, he answered in the negative. At both hotels, the signature Chinese restaurants are run by Chinese chefs: Chef Yu at Dynasty, Avari Towers and Chef Yang at the Lotus Court, Mövenpick. “Chinese guests don’t have to speak English,” explains Huyers, “they can converse with the chef directly in Chinese. Sometimes we have groups of eight to ten people coming over. Chef Yu would ask them if they want any particular regional dishes on the menu and he specially prepares them for the guests. Then there are other cultural peculiarities that Pakistanis hotels are now catering to: “The Chinese don’t like to shake your hand at the outset, they like to get to know you first,” explains Huyers. For this reason, the staff at Avari is routinely trained in cultural sensitivity. Over at Mövenpick, Ashraf explains that the hotel hired a guest relations officer — a Chinese woman — to ensure that their guests from China have a flavour of home on foreign territory. “They feel very proud of seeing one of their own do well in a foreign land,” she explains. I don't know whether to be happy or sad. @faisal be happy.learning a language is good for your brain and everything else. @faisal "I don't know whether to be happy or sad." Better be happy, as we don't have any other choice do we? Sooner or later chineese take over of pakistan is going to happen, so lets be mentally prepared and feel good about it. @faisal .Be happy. A great number of Pakistani students are studying medical,engineerings,in China,while many already graduated and sucessfully got job back home. And the numbers are growing fast.Education is affordable in China,besides it's convenient to study next door. This is the first step of cultural influence.. Read the history and you know it! In this new era, you don't fight war. You win countries by taking over culture and economy. Pak China growing relationship is necessary for peaceful and prosperous Pakistan..
life is name of phases, though slightly confusing... we Pakistanis after hearing the stories behind CPEC, but to plunge into next we have to get into. 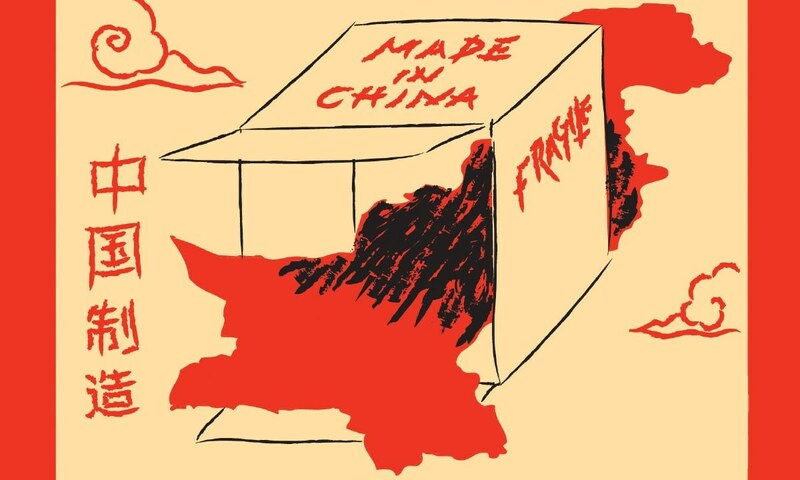 "How Pakistan is becoming a China's Colony". A better title. Wake up. guys. You have to build it yourself. There is nothing as Iron Brother even in personal life, this is international relations. Pakistan should be only for Pakistanis although other entrepreneurs can make their hay. Pakistan should never become extended part of China. This is my sincere suggestion. @Suhas During the British Raj, Muslims said the same thing and Hindus embraced English. As a result they became more close to British and gained employment in all important government positions vis-à-vis the Muslims who got more distant. In a colonial set up it is always a big advantage to know the language of the rulers. In case of Pakistan it is extremely useful for the generation now in school to learn Chinese. The ones who know the language of the masters and rulers will always enjoy good positions and special privileges. It is much easier for those who are musicians, or who have perfect pitch to learn Mandarin. Yes, the meaning of nouns and words are differentiated by tone. Chinese music is based on the pentatonic scale of only five notes. So the language in a sense is a continuity of music and voice. Its a great opportunity, learn the language, learn the business , the only way to prosper. Only if 5% of Chinese tourist come down it will be huge. Agree learning any Language is always valuable . However the value is even more when you have 70% illiteracy in a country . Counting numbers and basic math is going to become a precious commodity soon. I am afraid that in this china Pakistan relationship the effort will be on Pakistan and the world reward will b for the Chinese . This is nothing but classic neo-colonialism. Just like America which has influenced the world through Hollywood and Music, Chinese too want to spread their influence through their culture. Since Mandarin is important to understand their culture, they have built confucious institutes where Mandarin is thought. The tactic is very simple, build infrastructure by giving high interest loans, conquer their market, send your own citizens to other countries and make sure to spread soft influence to have a psychological effect that Chinese are doing something good. We have all seen that before with British and Americans doing the same. The fact I am writing this comment in English is a testament that I also came under their influence and so is everyone else who have learnt English as their first foreign language. All foreigners when on interaction in main land Pakistan specially for business and education, they should speak Pakistani language. Just happen everywhere. Banks or other entrepreneur should not use mandarin on signboard. This is not China, this is Pakistan. They should use local language instead. Foreigners should learn our language. This is our country. Our society. Our language. Saudis had invested over 800 billion dollars in USA a few years ago when the total dept for Pakistan was 32 Billion. I think if they really wanted to help Pakistan they could have invested a few billion here to get us out of trouble but the only way they help us is by saving our corrupt leaders and getting them out of trouble. Chinese have invested large amount of cash into Pakistan which will help Pakistan prosper because with their investment Pakistan's security becomes important for the Chinese too so they will help safeguard our safety interests. We just need to make sure that our leaders negotiate a good deal for Pakistan and not for themselves individually. It's a win win for both countries...China need Pakistan to reach warm waters, another corridor with south China sea tensions rising. Pakistan need China to spur up investment, industries, just about everything. So it goes both ways....Sino-Pak friendship is blossoming into a unique partnership. As Pakistan is quite divided between culture and language and when time will come to someone to suffer (after Chinese debt and its consequences starts) , there will come those people that will chose who other should suffer on behalf of debt on country and of course who should not suffer. It will happen in same way as it has always happened where someone to suffer on behalf of retaining others happiness. I see Baluchistan here who would be chosen for that for sure as grounds are already made. Need explanation? @faisal Chinese are all set to invade Pakistan systematically from culture to economics. For Pakistan, it is at a point of no return, considering it’s poor state of affairs in all fields. @faisal Look at he positive side - bro. This is a fantastic example of cultural invasion. Pakistani social landscape is geared up to transform into chinese culture. May be , after 1000 years, ours' generation would be completely engulfed by Chinese civilisation- a mixed race. @FAKE_NAXAL I am sure" coming of naxalite" nightmare will continue to haunt you and will become real one day while Pakistan will embark on a road to progress and prosperity that CPEC will bring. Learning Chinese or any language is big advantage will only bring us two people closer and understand each other better as language is sometimes the biggest barrier. @vikas -Absolute Nonsense. Hindus were foremost in fighting the Britishers, before, during and after 1857. Freedom movement that did bring freedom to subcontinent was primarily done by Hindu population. Learning English or "Pharsi" (Persian) was just a part of educational tradition of Hindu families. Present day emancipation of India as a Hub of Knowledge Economy is also part of that tradition. Unfortunately Pakistan has opportunity for everyone but Pakistanis. if we have no trouble learning and speaking English, why are we worrying about learning Chinese? Did learning English made us easily influenced by British or Americans? @Sridhar Raghunatha Rao Did Pakistan ask for any advice from you? @vikas Do not worry about Pakistan, since it knows what it is doing. Sad because we are loosing our identity and culture. But I am happy becuase this will bring some financial opportunities for the people of Pakistan an At the end financial stability comes first then identity. @Sridhar Raghunatha Rao - Yes, like Pakistan needs an advice from an Indian on what to do. For last seventy years you guys have been trying to prove Pakistan as a failed state and have been trying to eliminate the country, unsuccessfully, and now you are advising Pakistan what is better for them. Amusing! china is great friend of asians. @amit ;That's what the Mughals did, except no economy or communications. But also preserve beautiful languages like Panjabi, Sindhi, Baluchi etc. I went to study Engineering to Finland at age 18. I had to study Finnish language for 1 year and write the entrance exam. Every Finnish student knew 4 languages- Finnish, Swedish, German/French and English. At 18 learning a language is easier. Bonus was that University was free and I after studying for 6 years I completed both my undergraduate and graduate degree at no cost to me as tuition was free. All my friend who went to USA/UK had parents paying huge sums of money or had huge loans. Excellent opportunity for our youngsters to learn Chinese and study in China with a great scholarship. I hope todays youth will avail of this opportunity!! !Learning a language is always an asset. India's failure to win friends and influence people in Pakistan is amplified by China's success. One has to blame their diplomats for their inability to be smart and flexible and remain stuck in their ways. @Shakir Ansari Just keep all about the influence of normal understanding. Things are constantly evolving, and throughout human history, nothing has ever remained static. You have to adapt to changing circumstances. 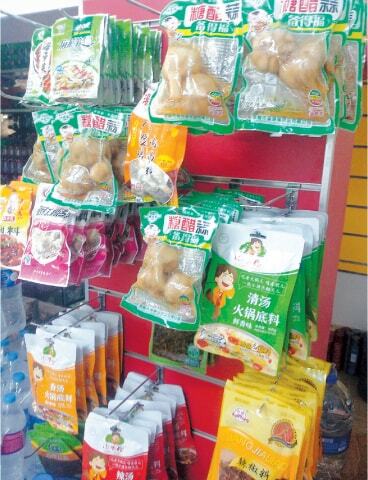 To make the Chinese at home, will we allow Pork and Alcohol to be openly sold in Chinese areas? Will we allow Chinese restaurants the flexibility to serve imported Chinese Non Halal products? @faisal You should feel happy. Whether any one realise or not India and Pakistan have more in common than we accept. Please promote your own culture, celebrate your diversity than accepting a totally alien culture just because they are making few roads. India once trusted China , "Hindi Cheeni Bhai Bhai" and then they stabbed in the back..India has learnt it's lesson. Hope history doesn't get repeated with Pakistan. Pakistanis can choose whatever languages they want to learn professionally. At the same time preserve own languages and indus-valley culture which is its identity. @vikas The same people who got English-graduation fought British and brought back Indian rule. Indians have preserved its languages and culture which is valuable while learning newer, better things. Yes, now Pakistan can forget about India and the past and develop newer bonds to the North. It will be the dawn of a new civilization for Pak. Realistically though, region of Pakistan has seen many different cultural civilizations throughout the ages. Now there will be Chinese architecture in Lahore perhaps. How many Urdu teachers teaching Urdu in China? Z E R O. "National culture" is not something that is carved in stone - it is fluid and constantly evolving - which is as it should be. We are all influenced by our many experiences and interactions. None of us are the same person we were 20 years ago. Those who embrace change always fare far better than those who do not. Besides the language, learn something about Chinese psychology too. If and when you understand as to why Chinese call their nation as 'central country', you will worry about CPEC and feel sorry for Pakistan. But wait, you have only a few years for the moment of truth flashing before your eyes. No one else have to give you warnings. Well the writer seems to be confused to give title as How Pakistan is becoming China's land of opportunity. Actually it should be as How China is becoming Pakistan's land of opportunity as per the writer's understanding. The time will come when Pakistan will be a colony of China in future as it is visible as all short of media in Pakistan is busy in creating an image that Pakistan and China are benefiting mutually and Pakistani people will get more jobs due to all this. But the truth is Chinese will make Pakistan under impossible payable debt and play for the national interest and future plans of growth of China. The basic nature of China is known to all over the world. When Pakistanis go to China for business they learn Chinese. When Chinese come to Pakistan, Pakistanis again learn Chinese. Sounds funny. True. The debt burden will remind you of Sri Lanka. Learning Chinese will open door to so many great Chinese movies which are not dubbed. im so happy.Long Live Pak China. @PKP @ iNDIA yeah right. Don't under estimate Pakistan my Indian bro. The world has become a global village now. I see a lot of negative comments here. I think in today's day and age you cannot stop the cultural invasion of developed or fast developing countries. People complaining about Chinese cultural invasion should first stop watching Hollywood and Bollywood movies and teach their kids our local culture. @Taareef Ali China knows what it is doing. Not pakistan. Well our countries adopted English so darn well! Colonization by the powerful has its impacts! British rule started with the East India Company's friendly, business trip(s)! I will say no more! dont' see any issue with learning new language but Pakistan must also ensure to train those chinese to learn local language as well. If not, it becomes a British era history. @Abrar Hakim This may not ahppen due to various reasons. Pak is a land of rich and resistant culture. Social institutions are developed to any comparable level. Only an economic shock is possible which may be reverted by improving the productivity of Pakistani Labor, for which the labor organizations and the labor mininstry should plan and invest in a better manner. @vikas In west Mandarin is being taught in schools. Does that make china master of west? Learning language helps interaction with your trading partner. I can feel why our Indian friends spreading negativity. @Bipul ; Exactly like when you Indians go to UK or US you better speak English to survive. Similarly when British or Americans are thrown in India to manage some business place, your local managers/employees better speak English, or they will be out of a job. China pak relations helping us by many ways but still it is just an initiative. Are Chines learning Urdu ? Pakistan is offering opportunity to China, Pakistanis are learning Chinese. Is the converse happening too? Are they learning Urdu, are they presenting any opportunity to Pakistan? Is it a mutual relationship or one way street? At the first place I am I do not know why fellow Indians have to react whether Pakistan will become colony of China or not. It is their choice. We have absolutely nothing to say in this. Secondly in current world you can not stop cultural invasion. May be language or sports or entertainment. It spreads whether you like it not. If Americans, Brits, Australians and Russians are learning Chinese, why shouldn't we? Pakistanis are very secure in our identity and are not plaqued by language, caste tensions as the country on our Eastern border, nor are we plaqued by deep ethnic divisions as our Western neighbour. It is this security in our identity which has resulted in Pakistan having the highest per capita rate of foreign employment in South Asia. @Naeem totally agree with you. It is a great opportunity for Pakistani youngsters to learn new language. There is nothing to loose. It is only a gain. @tanish singh Why not Hindi-Pakistani bhai bhai? I hope Pakistan gets what it wishes from this CPEC. I really want a prosperous Pakistan as our neighbor. My hatred for Pakistanis has been diminishing ever since I started reading articles here. Kudos to 'Dawn'. @faisal I would say be happy. The more work available, the more money earned will get insurgents to lay down the gun and join the mainstream. Most of Pakistan is not even aware of the world.